It's humpday which means it's time for me to share some of my favorite tweets of the week from the many writers, illustrators, editors and agents who are out there sharing information and joining in the conversation on Twitter. Click on the Twitter handles (@name) to see the original tweets (and get to each tweeter's page should you wish to follow them). Follow the links included below to read the articles or blog posts these tweeters recommend. Among this weeks' picks are a host of vampiriffic tweets (including some comedy gold from the Onion News Network) in honor of the opening of the ECLIPSE movie. I also came across a number of tweeted quotes, a selection of which are below. Enjoy! @JaneFriedman: Most notable takeaway from September Issue documentary, Wintour: "When I find myself getting really, really angry it might be time to stop." @HUnderdown: What will be the nextvampires ? At ala10 I learned HMH thinks it's goblins. What do you think? @molly_oneill: The six-year-old in me is quite pleased that riding the M train is now part of my routine, and believes the whole change=b/c M is for Molly! As both Publisher of Grosset & Dunlap and Price Stern Sloan (two imprints of the Penguin Young Readers Group) and the author of a popular series, Francesco Sedita knows a thing or two about series fiction and publishing books you can buy almost anywhere. (I'm avoiding the term "mass market." Francesco dislikes it as much as he loves lip balm. More on that below.) At the upcoming SCBWI Annual Summer Conference he'll offer workshops on those very topics--SERIES FICTION and WRITING MASS MARKET FICTION--and also participate in a panel called A VIEW FROM THE TOP: 4 PUBLISHERS DISCUSS OUR INDUSTRY. 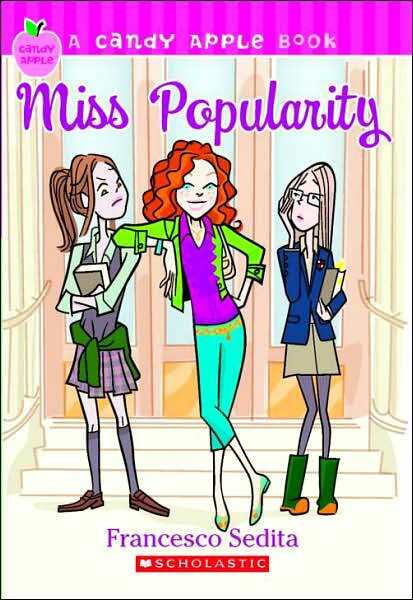 Francesco recently completed the third book in the MISS POPULARITY series. Read on to learn more about the them, his incredible handsomeness, his advice on writing series, his thoughts on mass market, and the scoop on his upcoming collaboration with the one and only Jon Scieszka. 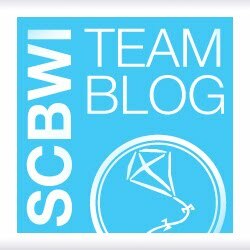 First of all, why do you participate in SCBWI events? What do you get out of them? SCBWI is like the best high school reunion ever. You see old friends, make new ones, reconnect with people and get the chance to learn, teach, and share ideas and just celebrate what we all love to do: write and publish the best children’s books! (In addition to Most Handsome and Best Dressed) you were voted Most Popular in your grade school class. 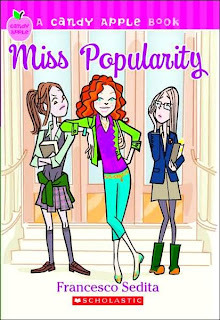 Did that somehow foreshadow the writing of your series MISS POPULARITY? Tell us about the series. Totally. I was so damn popular it was embarrassing. And handsome. I was so incredibly handsome. And no one wore Bugle Boy pleated pants better than me. Or my school’s polyester yellow and navy and plaid uniform. Um, did I mention that there were only 12 kids in my class? Actually, the main character Cassie, is really based on my older sister, Danielle. She was super styley and so amazingly cool in her Jordache jeans and her color-coordinated LeSportsacs and perms. People loved to be with her and around her. She drove a black FireBird! But she was always kind and sweet and had friends from every group in high school. I wanted to be her. Still do. So the series is about Cassie Knight, 6th grade supahstar in Houston. But when her dad gets relocated to Maine, her sprayed up hair, shimmery shadows and beaded ballet flats don’t quite cut it. Over the years I’ve gotten many question from writers about how to get a series published. Can you offer some advice from both sides of the desk (and maybe a teaser for your conference session on SERIES FICTION)? My advice is (and only in this order, otherwise results may be spotty): Write it. Write the hell out of it. Love it. Rework it. Write more. Rework again. Hate it. Sweat. Curse. Love it again and then when it’s ready, really think about who should see it and how. Do your research and make sure you are sending to the right agents, sending exactly what they're asking for. Then cross your fingers, have a glass of wine, and start on your next project. I think series should be like delicious pieces of candy. Make sure there is a wonderful throughline from book to book. Make sure your characters are evolving (or not, if that’s their case) and make sure you love each and every word. You’re also doing a session on WRITING MASS MARKET FICTION. Explain to my readers what mass market fiction is. Describe the right kind of writer for this market. I HATE--hear that? HATE the words mass market. It doesn’t mean anything anymore. I think people confuse it with "not literary" or "low-quality." Which is so not the case. (And if it is, then something is going terribly wrong.) Who doesn't want their books sold everywhere, including places like Walmart and Target? Okay, now that my rant is over, I can answer. I think if you want to write a series--and one that will be on a relatively quick publishing schedule (which means the books are selling and your readers want more more more)--you have to think about how quickly you can get the books done. You have to really know your process and be able to deliver because when a series like this really takes off, accounts want more and your editor will come a-knockin'. Not such a bad predicament to be in but something to be prepared for. You also have to think about topic if you want to write a “mass” series. What’s current, relevant, what’s going to pop off the shelves to readers and make them want to buy your series? Tell us about your new series with Jon Scieszka, SPACEHEADZ. 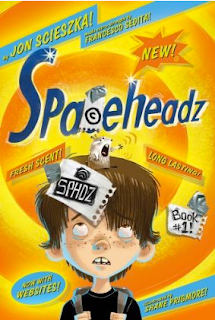 SPACEHEADZ a great project aimed to secretly teach readers about media literacy. With a lot of fun and wackiness along the way. You get to read the book but also experience the world online. It's a silly story but at the end of the day might really help readers to understand how to cut through all of the advertising that's being pushed on them. You kind of have a double life, working as both publisher of Penguin imprints Grosset & Dunlap and Price Stern Sloan and as a writer. Can you offer some advice on successfully wearing more than one hat? It’s a nutty little life but I love every second of it. It’s super fun and exciting and I am inspired by my job to write and by my writing to do my very best at my J-O-B. There is no advice really on juggling both because I think I'm a mess at it most times. I sort of let everything meld together. There are days when I sit in my office at Penguin and feel like more of a writer and there are days when I sit at my desk at home and feel like more of a publisher and I just let that happen and deal with it as it swings back and forth. I'm happy in both places, so why not? 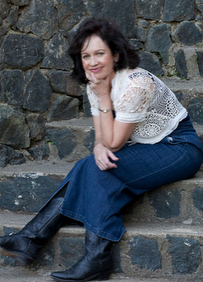 Jill Corcoran studied English at Stanford University, concentrating on literary criticism. "Had I known years later that I would be critiquing others' work in both my writers critique group and as an agent, I would have cherished my educational path." But after college it took her a number of years to come into agenting. Instead she opted for grad school, attending The University of Chicago Graduate School of Business and studying Finance and Marketing. "I was living in the time of Gordon Gekko," she says. "So off I went to the finance Mecca." After discovering Wall Street was not her calling, Jill worked in marketing and then ran her own consulting firm, LAUNCH! New Product Marketing. These days she's a relatively new agent with a number of sales under her belt and more on the horizon, selling chapter books, middle grade and young adult material equally well. Deals in the works or recently sold include a chapter book series for girls; a chapter book series for boys; a fun, nonfiction MG; a quirky MG mystery; a multicultural MG; a contemporary upper MG; a MG novel in verse; and quite a few edgy YAs. Read on to learn how Jill came to agenting, what's she's looking for, where you can meet her, her thoughts on social networking, and more. What led you to agenting books for young readers? 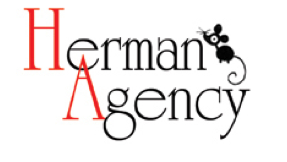 When and how did you start at the Herman Agency? When I started having children and stopped working, my brain begged for intellectual stimulation. Having spoken nothing but baby talk for five years, out poured some awful picture books. Everything changed when I joined SCBWI and started taking UCLA Extension classes with Kristin O’Connell George, Madeleine Comora, Ann Whitford Paul, Caroline Arnold, Sonia Levitan and others. Fast forward a few years and I caught a number of agents’ eyes with a poetry riddle book, of all things. I chose Ronnie Ann Herman of Herman Agency because 1) she got me as a writer, 2) she had 30 years in the business with an amazing reputation (yup, I asked around), 3) Ronnie represents many of the leading PB authors and illustrators in today’s children’s book market, and 4) most of the clients Ronnie signed back in 1999 when she started the agency are still Herman Agency clients today. In February 2009, Ronnie asked me to join her as an Associate Agent at Herman Agency representing MG and YA authors. In April 2010, I became a full Agent having sold 10 books in the last few months and having quite a few more going to acquisition meetings in the next month or two. You blog, tweet, agent, do events, and have a family life. Do you have any advice when it comes to juggling things? I have to thank my incredible husband and family for being understanding and truly rising to the occasion when I travel or ignore them at home. It is hard to do it all and do it well, but my one piece of advice is only do what you love. I love my family and I love agenting, and except for housework, I spend all my hours passionately living life. I think that is what makes the juggling fun, productive and successful rather than draining. Tweeting and blogging....that’s just a natural for me because I am a social person. I only tweet or blog when I want to and never feel obligated to put myself out there. Why do you choose to be active in the social networks? Why should writers and illustrators do the same? I started my blog on a lark, before I became an agent. I went to the SCBWI Annual Summer Conference in 2008 and met an amazing group of friends who I am still in daily contact with today via a google group. I was the only one without a blog so I came home and started one. I wanted to have a theme for my blog since I knew whatever I put on it was a reflection of who I am, my public persona. Writing and the business of writing plus marketing were topics I knew and enjoyed talking about. I started receiving a lot of comments and learned the fun and fine art of commenting on other people’s blogs (hint-that is how you grow your following). I actually didn’t realize that commenting was an effective social networking tool, I just commented when I had something to say, but I have since discovered the power of the comment. BUT, and this is very important--don’t comment to be "seen," comment only when you have a sincere opinion or thought to share. Commenting is about the village, the community, NOT about hustling your work. My opinion on Facebook and Twitter for authors and illustrators is try it and be as involved as you want. Do not feel you need to get your face out there if you don’t enjoy it. But, you will meet a lot of wonderful people online and you will learn a lot from them. Plus, you will probably make a lot of friends since we all share a common interest and as we all know, the kidlit biz is a fun, generous group of people. Regarding websites, I think websites are a must for unpublished and published illustrators. If I hear of you, I want to click and see your work immediately, while your name is still in my mind. So do editors and art directors. For unpublished writers, a nice looking website is nice but not necessary. For published authors, a website is a great tool for obtaining school visits, a way for librarians to learn about you, for your readers to write reports on you, and to share news and updates of your upcoming books. In all, I think if you like social networking and it does not take away from your writing time, then go for it. The benefits of a strong online presence is a rapport with other writers, readers, agents and editors who will know you before you have your first book on the bookshelf, and you never know where that could lead. The writing comes first and foremost, but your blog/comments/tweets/Facebook updates/website/etc. could catch someone’s eye and they may be asking you if they can read your manuscript. Oh, and regarding selling yourself--remember everything you put out there is public and potential agents and editors will google you before they sign you/buy your ms so THINK before you type. You handle chapter books, MG and YA, correct? Are you currently open to taking on clients? What's your current submissions policy? Is there anything you're particularly looking for? Teen romance be it contemporary, paranormal, urban fantasy, etc. For me, romance is about wish fulfillment---a yearning so strong the reader feels it in their heart, their soul and for upper YA, their groin. I also want truly funny books--if you can write it, I want to read it. Chicklit with a unique/fresh hook. Commercial literary fiction. I love literary but I am having greater success with high-concept work, so think about your hook before you spend a year or two or three writing your book. I am not looking for high fantasy or historical fiction that ‘teaches’ a history lesson. For SCBWI members and published Chapter Book, Middle Grade and Young Adult authors, please email a query plus the first 10 pages of your manuscript to: Jill@HermanAgencyInc.com. No attachments, please. For a single author who writes YA and/or MG and PB, I rep the author’s YA/MG and Ronnie reps his/her PB. When an author signs with me they are signing with the Herman Agency and they will benefit from both Ronnie’s and my expertise, dedication and effort. Are there any upcoming events you're doing where writers could meet you? Could you tell us about some of the recent or upcoming titles from authors you represent to give us a feel for your list? Sherry Shahan's PURPLE DAZE, a provocative free verse novel set 1965 Los Angeles in which six high school students navigate war, riots, love, rock 'n' roll, school, and friendship, to Kelli Chipponeri at Running Press Kids, for publication in Spring 2011. Robin Mellom's debut DITCHED, pitched as THE HANGOVER for teens, in which a girl finds herself lying in a ditch the morning after her prom with no memory of the last 12 hours which includes a disappearing prom date, a Tinkerbell tattoo, and a dog-swapping escapade, to Christian Trimmer at Disney-Hyperion, in a two-book deal, for publication in Winter 2012. Ralph Fletcher's AKA ROWAN POHI, in which a 16-year old boy assumes a new identity in a desperate attempt to shed one life and create another, to Dinah Stevenson at Clarion. Janet Gurtler’s THE WEIGHT OF BONES, a twist on MY SISTER'S KEEPER for teens, in which a brainy high school freshman embraces yet resents the shadow of her beautiful, popular,volleyball-scholarship-bound sister. But when the senior is diagnosed with bone cancer, it drastically changes both sisters' lives, as a lead title to Sourcebooks Fire. Is there any general advice you'd like to offer writers seeking publication today? Don’t rush out to find an agent or send your books to editors---learn your craft and revise the heck out of your manuscript. Also, as I said before, try to write a book with a unique and engaging concept. I know writing is often organic and for some of us the concept comes as the book is being written, but there are wonderful writers who are writing boring books. If you are going to spend the time, sweat and tears writing/revising/subbing, try to think of a concept that will stand out to editors/agents/readers, and even Hollywood. I look at manuscripts as both works of art and as products to be marketed. I know some authors think that is cold but my view is shaped by my education, work experience, and writing life. An author’s passion and hard work creates the art. But, the book must impel customers to part with their dollars. This practical view of creativity helps me understand what is publishable. It helps me choose publishable manuscripts and direct them to the appropriate publishers. No really, go back and look at it with a critical eye. One, maybe two...three, four, five more times. Believe in your words. Believe in your creation. Believe in yourself. Now get out there and submit. Rejection is part of the process. Today I offer a baker's dozen snippets--among them a PW piece on picture books and rainforests, several opinion pieces on the iPad, how the Kindle is making reading social, a report on e-reader price wars, highlights from the Book Bloggers Convention, record-setting tweets, and The New York Times covering gay YA. "Do children's publishers deserve to wear green hats--or black ones? After all, it's tricky to make good-looking four-color picture books from recycled paper, or affordable ones from virgin paper that is certified as eco-friendly. The cost issue sends publishers to Asia, where paper and materials are cheaper. The problem: printers there may use fiber from Indonesian rainforests." 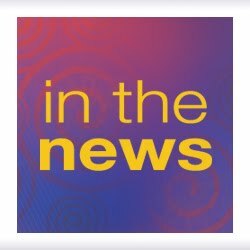 "This weekend at the American Library Association conference in Washington, D.C., Lerner Publishing Group will unveil Lerner Digital, its new digital content brand for the school and library markets, by launching the company’s new line of fiction and nonfiction digital books for struggling readers, Lerner Interactive Books." "While mobile professionals might debate the definition of what is a smartphone, smartphones are generally the classification given to phones that have an operating system and application program interfaces that enable third party companies to develop apps to run on the phone. In 1996 Nokia introduced the Nokia Communicator 9000, which essentially was the first commercially available smartphone. While smartphones had existed for more than ten years, it wasn't until Apple introduced the iPhone in 2007 that smartphones reached the tipping point of being a broadly used device." "Below, a guest essay by David Rothman, of the Teleread site and the DC roman-a-clef The Solomon Scandals. David was one of the journalism world's earliest adopters of computers and related technology. Since 1992, when many people (including me) could barely imagine what a Kindle/Nook/iPad-style 'e-reader' might be, he has been analyzing these devices and their social, economic, and political implications on his site. Previously on this site about such implications here and here. By the way, he is running a nice Fake Tony Hayward diary on his site." "At his Kentucky elementary school, kids taunted Brent on the playground about being gay, whatever that was. By eighth grade, he realized what they meant and came out to a friend--and vice versa. She was an avid writer, he a voracious reader. They headed to their school library in search of stories that spoke to their lives: gay, gay in the South, gay and fearing stereotypes like 'disgusting' and 'worthless.'" "Thousands of obsessed Twlight fans have literally set up camp in Downtown LA as they wait for the premiere of Eclipse, the newest movie of the series. KTLA reports: Hundreds of movie fans began lining up Monday, creating a tent city outside the Nokia Plaza for Thursday's premiere of 'The Twilight Saga: Eclipse.' Aproximately 9,000 wristbands are being handed out to the movie fans. According to Nokia officials, wristbands must be worn until the premiere is over. Any wristband that has been tampered with or removed will not be considered valid." "To promote the upcoming release of The Twilight Saga: Eclipse, author Stephenie Meyer toured four fan sites on a DIY promotional tour. Along the tour she confessed that work had been slow on Midnight Sun, an uncompleted manuscript from the beloved vampire series. The lucky sites chosen for the junket were: Twilight Series Theories, Twilight Source, Twifans, and Letters To Twilight." "I think one of my bookselling colleagues thinks I have sold my soul to the Dark Side by purchasing an iPad. She practically ran away from it (and me) at a recent conference when I unveiled the thing. It was a funny moment, because I absolutely understand her horror: the growing digital-book market is affecting all booksellers and we don’t know where and how the smaller indies will fit in--if at all--and what that will mean to our already challenged bottom lines." "Let the price wars begin. Amazon has dropped the price on the Kindle from $259 to $189. The news comes after Barnes & Noble announced a new $149 version of the Nook series called the Nook Wi-Fi and speculation began about if Amazon would respond." "We've heard it all before: digital content means the end of physical media. As consumers flock to the convenience of instant gratification and on-the-go content, traditional business models will be overturned, commerce will move online, and traditional retail outlets and the products on their shelves will go the way of the typewriter. Or maybe not." "The first annual Book Blogger Convention was officially held on May 28 at the Javits Center in New York City, immediately following the conclusion of BookExpo America. More than 200 bloggers, publishers, and authors attended. Among the topics covered in presentations and panels: Professionalism/Ethics, Writing/Building Content, Marketing, Social Responsibility, and Author/Blogger Relationships." "'THE point of books is to combat loneliness,' David Foster Wallace observes near the beginning of 'Although of Course You End Up Becoming Yourself,' David Lipsky's recently published, book-length interview with him. If you happen to be reading the book on the Kindle from Amazon, Mr. Wallace's observation has an extra emphasis: a dotted underline running below the phrase. Not because Mr. Wallace or Mr. Lipsky felt that the point was worth stressing, but because a dozen or so other readers have highlighted the passage on their Kindles, making it one of the more 'popular' passages in the book." "Despite massive Twitter activity due to ongoing World Cup match play, Twitter's biggest tweets per second record to date was during last week's NBA finals. That record was shattered yesterday as Twitter users published 3,283 tweets per second at the close of Japan’s victory over Denwark in the World Cup." 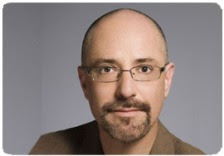 The latest SCBWI TEAM BLOG Annual Summer Conference faculty interview happens to be with my presenter partner-in-crime, author and guru of social media Greg Pincus. Greg and I will be offering two ProTrack sessions at the conference: SOCIAL NETWORKING/ TWITTER 101 and MOVING YOUR CAREER FORWARD WITH SOCIAL NETWORKING AND BLOGGING. Here's the beginning of Martha's post--the interview (of course!) was conducted via Twitter. Click here to read the full interview with Greg on the SCBWI WWA blog. He's also a poster-boy for what social media can do for a writer. After the mathematically inspired form of poetry he invented went viral and hit The New York Times, Greg found himself with a two-book deal with Arthur A. Levine Books. Click here to register so you can meet Greg (and me) and the many other terrific presenters. @Ginger_Clark: My seatmate on flight to denver: what's that? Me: an e-reader. Seatmate: what's an e-reader? ....I don't think the market is saturated yet. @BostonBookGirl: The democratization of slush http://shar.es/mEJPZ (Salon) Agree w/ this, except for the assumption there will be no publishers. @MandyHubbard: "I know you don't represent non-fiction, bit this is different" ..... IRRITATING AS HELL, people. Stop wasting my time! @barrygoldblatt: What is with people who tell me in their query that they were referred to me by (blank)...invariably a person I've never heard of? @colleenlindsay: Yet another person just walked in the door and tried to hand the intern a manuscript. SERIOUSLY, PEOPLE??? @lioncaller: Overheard in YA section, one teen girl to another: I don't want anything about vampires. I hope you've been enjoying our SCBWI TEAM BLOG pre-conference interviews--and they're getting you excited about our upcoming event! 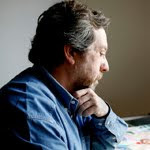 Our latest Summer Conference faculty interviewee is editor extraordinaire (and SCBWI board member) Arthur Levine who chatted with Jolie Stekly. Check out the full interview on Cuppa Jolie. "It was such a pleasure for me to interview one of my favorite people in the children's book world: Arthur Levine. 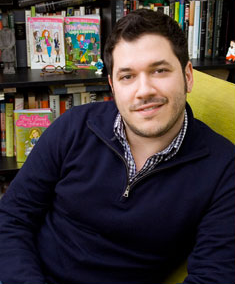 Arthur A. Levine is a Vice President at Scholastic Inc. and the Editorial Director of Arthur A. Levine Books, a literary, hardcover imprint of Scholastic. He is also an author and has a new book coming out (keep reading to find out more about it) in Spring 2011. You can meet Arthur Levine in person (along with a ton of other terrific presenters) at the Annual Summer Conference in Los Angeles. I know it's the first official day of summer, but I'm already weary of the steamy heat and thinking ahead to lovely autumn, when I can again wear sweaters and drink hot beverages and my hair won't look quite so...humidified. Fall is also THE season for regional SCBWI events. September is to regional SCBWI conferences as June is to weddings. Below is a list of the September regional SCBWI conferences with information currently available. For more see the Regional Events calender on SCBWI.org. Remember, it's never to soon to plan ahead for conference travel, and early registration often means savings on tuition cost. INFO: Headliners include Mark McVeigh, Owner/Agent, The McVeigh Agency; Jennifer Rees, Senior Editor, Scholastic; Martha Mihalick, Associate Editor, Greenwillow Books; Anne Moore, Art Director, Candlewick Press. INFO: Cheryl Klein of Arthur A. Levine Books and Jill Corcoran of the Herman Agency. INFO: Christy Ottaviano, Editorial Director for Christy Ottaviano Books at Henry Holt & Company; Barney Saltzberg, Author/Illustrator; Kristine Brogno, art director, Chronicle Books; John Clapp, assistant professor of Illustration at San Jose State; Abigail Samoun, editor, Tricycle; Dana Goldberg, publisher, Children's Book Press; Renee Ting, publisher, Shen's Books. INFO: Acquiring An Agent with Sonia Gensler, Visualizing Your Work In Progress with Pati Hailey, Afternoon Intensives, Fantasy Intensive with Joni Sensel, Picture Book Intensive with Tammi Sauer, Novel Intensive with Anna Myers. INFO: Kira Lynn, Kane Miller Publishing USA; Lin Oliver. executive Director SCBWI; book launches; industry panels; publisher panels and discussions. INFO: Sarah Shumway, HarperCollins editor; Julie Ham, Charlesbridge associate editor; Carmen Tafolla, award-winning author; breakout sessions; Author & Illustrator Track; 1st Pages Session with editors; Writing Workshop with Carmen Tafolla; Creating a Winning Portfolio with Heather Powers. INFO: Alvina Ling, Senior Editor, Little Brown Books for Young Readers; Liz Waniewski, Editor, Dial Books for Young Readers; author Alan Gratz; Chris Richman, Agent, Upstart Crow Literary Agency; 2009 Golden Kite winner, Steve Watkins; Fran Slayton, 2K09 Debut Author, When the Whistle Blows. INFO: Elizabeth Parisi, Dan Yaccarino, Mallory Kass, Priscilla Burris, portfolio critique and display, manuscript first pages. INFO: Editor Jill Santopolo from Philomel Books, Agent Sarah Davies from The Greenhouse Literary Agency, individual critiques available, Intensive Writing Workshop. INFO: Stephen Barbara, agent with Foundry Literary + Media; author Tracy Barrett; Lionel Bender, editorial director of Bender Richardson White; Peter Clifton, co-founder and CEO of FiledBy; Patti Ann Harris, senior art director with Little, Brown; Ellen Hopkins, NYT bestselling author; Diane Muldrow, editorial director with Golden Books/Random House; Ruta Rimas, assistant editor with Balzer & Bray; Kelly Sonnack, agent with Andrea Brown Literary. INFO: Harold Underdown of The Purple Crayon website; picture book authors Lindsay Barrett George and Jeannine Norris; middle grade authors Jennifer Hubbard and Nan Marino; YA author Wendy Mass; art director Isabel Warren-Lynch, Random House; agent Ted Malawer, Upstart Crow Literary; editors Jennifer Rees, Scholastic and Martha Mihalic, Greenwillow Books. Fridays on the SCBWI blog, I share snippets of and links to some of the publishing-related news I've read during the last week that I found interesting, helpful, and/or fun. Below you'll find an editorial director asking indie booksellers to get behind picture books, Twitter selling trending topics, stats on eBook sales, a review of children's book iPad apps (which sent me straight to the App Store), why teens love vampires (again), an editor move (again), and more--including a link to Starbuck's announcement that free wi-fi is upcoming. (As Stephen Colbert said: It's good news for people who can't afford wi-fi because they're spending $6 on a cup of coffee.) And be sure to check out the amusing Slush Pile Hell and do your best to not wind up there. Click titles for links to the full articles. Happy Friday and happy reading! "The symbolism was not lost at this past Tuesday’s meeting of the New England Children’s Booksellers Advisory Council, held at The Eric Carle Museum of Picture Book Art in Amherst, Mass., that Ken Geist, v-p and editorial director of Orchard Books and Cartwheel Books and author of the picture book The Three Little Fish, should choose this setting to ask independent booksellers to get behind picture books. 'I’m not finishing this year until we move the needle and sell more picture books,' said Geist, who added that he was not speaking on behalf of Scholastic. “I’m here to talk about what we can do collectively to raise the profile of picture books.'" "Since April, Twitter users have grown accustomed to Twitter’s first ad revenue play: Promoted Tweets. Today, the second phase of that strategy is starting to be tested: Promoted Trending Topics. The first such topic? Toy Story 3, promoted by Disney/Pixar. As you can see in the right hand toolbar of Twitter.com, at the bottom of the Trending Topics area there is now an 11th topic, “Toy Story 3.” Next to it is a big yellow box letting you know that it’s a promoted Trending Topic. "I'm crazy about Web browsing, movie watching and other activities on the iPad, but the idea of reading ordinary books on Apple's device just doesn't appeal to me. I prefer the old-fashioned experience of reading in the printed form. I'm intrigued, though, by the idea that the iPad, and eventually other tablet devices will give rise to a hybrid medium—call them book apps—that mix text with video, sound and game-like interactivity. After sampling several early examples of these books apps, I've seen some tantalizing hints of the creative possibilities for authors and publishers who recast themselves as app makers." "Nancy Conescu will return to the company where she first began her children’s publishing career, when she joins Dutton Children’s Books as executive editor on July 6. Conescu has been a senior editor at Little, Brown Books for Young Readers for the past six years, but began working in children’s books as an assistant to the publishers of the Puffin and Grosset & Dunlap imprints." "According to the Association of American Publishers (AAP), eBook sales jumped 127.4 percent in April compared to the previous year--totaling $27.4 million in sales. In comparison, audiobook sales were $11.7 million for the same month." "At Starbucks, we love to give you more of what you’ve asked for. So soon you’ll be able to enjoy Wi-Fi at Starbucks in a way that goes beyond what we currently offer. Starting July 1, you’ll be able to enjoy free, one-click, unlimited Wi-Fi at all company-operated Starbucks stores in the United States." "An English lecturer has examined why teenage vampire books and movies have gripped youngsters' imaginations nowadays and taken the crowd by storm. Jolene Zigarovich, Cornell visiting lecturer in English, says, "The reasons for the teen vampire craze are multifold. There is a Shakespearean, tragic element, in the sense that not only is young love forbidden in teen vampire films, but also that love and death are conjoined. Sacrificing oneself for love seems to be a perpetual, human theme." "Graphic novels will take center stage, literally, at this year's American Library Association Annual Conference in Washington DC on June 24-29. While graphic novels have become a mainstay at ALA and other library events, this year’s annual conference will feature three days of panels, author events, previews and other scheduled programming all focused on comics and graphic novels and the continued growth and development of the category in libraries." "A self-identified 'grumpy literary agent' just opened a Tumblr blog to highlight awkward moments in author queries. It's called SlushPile Hell." The National Center for Children's Illustrated Literature in Abilene, Texas is presenting Golden Kite Golden Dreams: the SCBWI Awards Retrospective. This amazing exhibit curated by David Diaz features Golden Kite Medal and Honor Winners from 1974 to 2010 and is the first retrospective of its kind. The Golden Kite Award, which was instituted in 1974, is given annually by SCBWI to recognize excellence in children’s literature in four categories: Fiction, Nonfiction, Picture Book Text, and Picture Book Illustration. 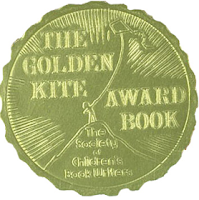 Golden Kite Awards are the only children’s literary award judged by a jury of peers. 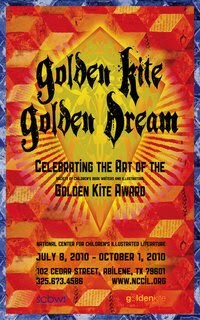 With this exhibit SCBWI hopes to bring the Golden Kite winning artwork to a wide audience. Golden Kite, Golden Dreams runs July 8th through October 1st at the NCCIL, with an opening event Thursday, July 8th, featuring a demonstration from two visiting illustrators and a talk on the Golden Kite Award by Lin Oliver and Steve Mooser. There's an exhibit opening gala dinner on Friday, July 9th, during which NCCIL Museum Director Debbie Lillick, David Diaz and Lin and Steve will share a few words. And Saturday, July 10th, will be a day of exhibit events and talks welcoming SCBWI members, including demonstrations by Barbara McClintock and Richard Jesse Watson. Visit the NCCIL website for more information. In the latest in our series of SCBWI TEAM BLOG pre-conference interviews, Martha Brockenbrough talks with publishing luminary Rubin Pfeffer on the SCBWI WWA blog. At the Annual Summer Conference, Rubin will offer a Pro-Track session--DIGITAL DOINGS: WHAT PUBLISHERS ARE DOING TO PROMOTE CHILDREN'S BOOKS ONLINE; give a workshop--FROM PUBLISHER TO AGENT: OBSERVATIONS FROM A SEASONED PUBLISHER TURNED AGENT; and deliver a keynote speech--SCCC FORMERLY KNOWN AS SCBWI? ONCE SOCIETY OF CHILDREN'S BOOK WRITERS AND ILLUSTRATORS, NOW A SOCIETY OF CHILDREN'S CONTENT CREATORS? "Rubin Pfeffer, people. THE Rubin Pfeffer. He's one of the keynote speakers at this summer's SCBWI conference in L.A., and given his incredible career in children's literature, he'll no doubt give a sensational talk. Rubin started as a designer for Macmillan in 1974 and then spent 27 years at Harcourt, where he rose to become president of their trade book division over the era the company won Newbery, Caldecott, and National Book awards, as well as Nobel prizes for work on the adult side." You can meet Rubin Pfeffer in person (along with a ton of other terrific presenters) at the Annual Summer Conference in Los Angeles. It's humpday which means it's time for me to share some of my favorite tweets of the week from the many writers, illustrators, editors and agents who are out there sharing information and joining in the conversation on Twitter. I even included one from myself in this week's Wednesday Tweet Roundup. @ElanaRoth: Don't say this: "Although I have a million stories in my head I was too busy raising my two children and working for shiny things." @Ginger_Clark: Now is the time of the agenting day where I type up contract comments to loud 80s music. TEAM BLOGger Martha Brockenbrough offers another terrific pre-conference interview on the SCBWI WWA blog--today with author Gennifer Choldenko. At the Annual Summer Conference Gennifer will be giving a keynote speech called Kill the Bunnies: Writing Novels for Today's Teens. Here's a bit from her conversation with Martha. Click here to read the full interview. "I first heard of Gennifer when after the publication of her Newbery Honor-winning novel, AL CAPONE DOES MY SHIRTS. At the time, it seemed like she was an overnight success: a New York Times bestselling author, winner of the Sid Fleischman award, a BBYA pick...the list of accolades is longer than a gangster's rap sheet. I read AL CAPONE and was hugely jealous, wondering how she'd managed to get so good so quickly. Shows what I knew..."
After seeing video of animals affected by the oil leak in the Gulf, illustrator Kelly Light just had to do something to help. "I was watching the footage of the oil spill and the animals and it undid me. I still get choked up," she says. "As artists (especially for kids) we draw so much inspiration from animals--and I couldn't take it. So I did what I do, I started drawing." Soon, she says, her kidlit friends started chiming in, saying they would love to help. So about a week and half ago, Kelly started the Ripple blog. "I emailed, tweeted, and Facebooked about it, and the artists showed up--in force. It's been amazing." Artist have donated cards for the blog, which are for sale for a $10 donation to your choice of two non-profits, The Institute for Marine Mammal Studies and The International Bird Rescue Research Center. "For the most part, artists do not make a lot of money. I have had so many say that they can't donate financially--so they painted this, or drew that--and it's wonderful," Kelly says. "It's based on the idea that anyone can do something if it is a small act. As individuals maybe we can't make grand gestures--but together our small gestures can be grand!" As of June 12th, they've raised more than $2000. You can buy a card simply by donating directly to one the of the non-profit organizations and sending Kelly the confirmation email. See the Ripple blog for details and to browse the art. Fridays on the SCBWI blog, I share snippets of and links to some of the publishing-related news I've read during the week that I found interesting or helpful (or, perhaps, fun). Below you'll find Little, Brown in the news for both Stephenie Meyer's BREE TANNER and publishing GLEE books. The New York Times offers a good rundown of e-readers. If you choose a Kindle, you can now get a waterproof cover just in time for beach season (which sounds so much better than a duo of big Ziplock bags which Jeff Bezoz once said he used for in-the-tub reading). The Boston Globe-Horn Book Awards were announced. One prominent editor moved houses and another is tragically without a home after a fire. A writer on Huffington Post reveals how the iPad can make kids smarter. And don't miss agent Nathan Bransford's piece on the rejection letter of the future (spoiler: it is not in a silver lamé envelope delivered by a mail-droid via hovercraft). "While Stephenie Meyer’s publisher is touting strong sales figures out of the gate for her new novella, The Short Second Life of Bree Tanner, not everyone in the bookselling community is happy with how the slim title is faring. A number of independent booksellers are complaining that Meyer’s book, which pubbed on June 5, isn’t selling in their stores. This, despite Little, Brown’s news that the book sold more than 350,000 copies in its first two days." "After last night’s Glee finale, you probably thought some of the mania would die down for a bit? Not a chance. Shelf Life has learned that Little, Brown Books for Young Readers has struck a deal with Twentieth Century Fox to publish a line of official Glee-related books. (There are Glee books aplenty out there, but they are all unauthorized.) Little, Brown has multiple book projects in the works for its Glee program; the first to roll off the press will be an original novel called Glee: The Beginning. This prequel to the show, which includes a double-sided poster, will hit stores this August." "Yesterday Sterling Books editor Alyssa Smith lost everything in an apartment fire. To help her friend, Publishers Weekly editor Rose Fox has set up a PayPal site to collect donations from the publishing community." "Although books are not necessarily the focus of Apple’s annual Worldwide Developers conference in San Francisco—where the new iPhone 4 was unveiled today—Apple CEO Steve Jobs announced several upgrades for the iBook e-book format and several impressive book related upgrades for the new iPhone 4." "Suzanne Murphy has been named v-p and publisher of books at Disney Publishing Worldwide. Murphy is arriving from Scholastic, where she was v-p and group publisher of Scholastic Trade; at DPW she will be overseeing all content strategies for books, as well as handling the group's imprints, Disney-Hyperion, Disney-Jump at the Sun, Disney Editions, and Disney Press. Murphy will also handle content for the company's extensive licensing program, as well as digital content strategies. Murphy is replacing Jonathan Yaged, who left DPW in late February." "So the verdict's in: Technology is eroding our brains. Or so the two most venerable bastions of print media would have us believe. Nick Carr's article in the Saturday Wall Street Journal, "Does the Internet Make You Dumber?" makes the case from a neurological standpoint, and a recently most-emailed New York Times article, "Your Brain on Computers," accompanied by a photo of a husband and wife absorbed in their iPads at the breakfast table, is upfront in its equation of technology with addictive drugs." "With Father's Day approaching (June 20 this year), here's a roundup of children's books about dads. The titles include 'The Fathers Are Coming Home' (by the author of 'Goodnight Moon'), 'Oh, Daddy!' and 'Stars Above Us.' This Father's Day, get Dad a present he can share with his children: a picture book. To get you started, here's a look at some new picture books in which dads play a starring role..."
"One of the more challenging aspects of being a literary agent is dealing with the incredible deluge of submissions that pour in every single day, twenty four hours a day, from all corners of the globe and for every type of project imaginable. I don't keep precise stats on the number I receive (it's hard enough just to answer them all), but in any given year I receive somewhere between 15,000 and 20,000 query letters from aspiring authors. Out of those tens of thousands I reject all but a tiny handful of them and take on perhaps three to five clients a year, whose work I then shop to publishers." "When Steven P. Jobs, Apple’s chief executive, introduced the iPad, he bluntly took aim at the rapidly emerging e-reader market. 'Amazon has done a great job' with the Kindle, he said. 'We’re going to stand on their shoulders and go a little bit further.' The iPad’s full-color screen and its ability to browse the Web and run thousands of applications certainly make it more versatile than the Kindle, but Apple is not the only company bringing more than just black-on-white text to readers." "Now you can float on your raft, minus the fear of getting your digital copy of Twilight waterlogged. M-Edge's Guardian case is a bloody expensive $80, but if that means protecting your $260 ereader, then it's well worth it."